Aravind Jayabal in 2011 founded Raindropss, a youth-based social organization in Chennai which is the first of its kind in India to spread social awareness messages to public in the form of theme songs and short films through entertainment and media. A R Raihanah, sister of A R Rahman is the brand ambassador of Raindrops. Raindropss is all set to launch their annual table top calendar “Maatram Thaedi – Be the Change 2014” powered by PARK Group of Institutions, featuring achievers across various walks of life with a strong social message in order to raise funds for the education of the children living with HIV. The rationale behind this project is to show the pictures of achievers whom the common people can take inspiration from, as inspiration is after all caught and not taught. The proceeds from this go towards a noble cause. Legends Padma Shri Dr K Balachander, Padma Shri Dr A R Rahman, Dr Mayilsamy Annadurai, Padma Bhushan Dr S P B, Dr M B Nirmal, Padma Shri Sudha Raghunathan, Padma Shri. Dr Sudha Murthy, Dr Kamala Selvaraj, cricketers K Srikkanth, Ashwin Ravichandran, Dr.P.Manorama, educationalist Anusha R and A R Raihanah have joined hands with Raindropss supporting this noble project. Annual calendar for 2014 of Raindropss will feature the photographs of these achievers along with their strong social message to the society. First copy of the calendar will be released on 1st Dec 2013 - Sunday (World AIDS Awareness Day) by Iyakkunar Sigaram Padma Shri Dr K Balachander at RKV Studios, Vadapalani and the funds from the calendar sales will be donated to the education of children living with HIV. Leading Celebrities are expected to be a part of the launch event. 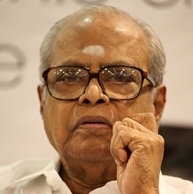 Iyakkunar Sigaram, Padma Shri Dr K Balachander will be felicitated in the event with LIFE TIME ACHIEVEMENT AWARD in the field of CINEMA, says Aravind Jayabal, Founder - Creative Head of Raindropss. For Pre-bookings/Bulk Orders of the 2014 annual calendar mail at project.raindropss@gmail.com or Call 9841020120 and be a part for the noble initiative along with the legends. People looking for online information on A R Rahman, K Balachander, Raindropss will find this news story useful.